Are you interested in working in international voluntary environment? Why don’t you register to be a volunteer for our work-camps/ groups? 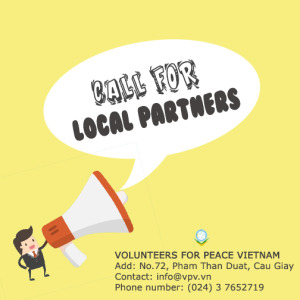 Volunteers for Peace Vietnam (VPV) is hosting several groups of international volunteers who will come to work in disadvantaged areas in Vietnam. 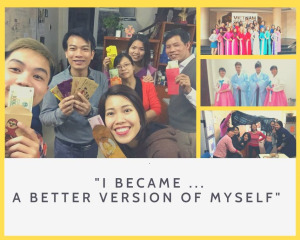 We are searching for Vietnamese supporters who are willing to help the community and our international volunteers. All expenses for your accommodation and food during the programs will be covered by VPV. 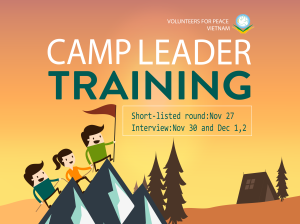 What are our work-camps/ groups? Do manual work with international volunteers, for instance, draw and paint the walls, support local workers to build the kindergartens, classrooms, do gardening, etc. Support international volunteers and Vietnamese teachers with translation. Assist work-camp coordinator to prepare logistics and other tasks upon requests. What will you gain from your time as a volunteer? 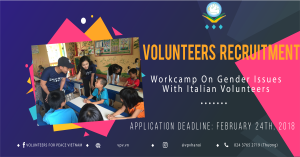 Get opportunities to work, communicate and be friends with international volunteers. Language ability: Fluency in speaking English. Good command of French will be an asset for those who apply for the group of French 1 and French 2. Commit to join the whole camp without any days off.